European Free Alliance (EFA) Manifesto for the June 2004 European elections. Manifesto for the June 2004 European elections. In these elections EFA will campaign for our countries to be better represented in Europe. (c)- All languages have the right to be recognised at the European level, with no artificial difference between state languages and other languages. EFA will strive for the meaningful realisation of European cultural and linguistic diversity and equality of all European languages. To this end EFA will work for the establishment of legally binding instruments and budgets for the promotion, development and normalisation of Europe's minoritised and stateless languages. (d)- Control and management of structural funds to be given to the devolved authorities. (e)- Freedom to develop inter-regional and cross-border co-operation free from the interference of the States. Development of the Euroregions (European regions that transcend Member State borders). (g)- Full employment and harmonisation of workers’ rights which have been cut back through the Neo-Liberalism policies. Encourage direct forms of participation in addition to the election of representatives to the legislative members: referenda, assemblies, etc. Promote citizen involvement at all levels. Develop educational systems which encourage public involvement in public affairs. Bring the activities of pressure groups and lobbyists under control. Ensure that the media, particularly those in public ownership, are open to and reflect the plural nature of society. Promote electoral systems which encourage involvement and ensure that parliaments are as representative as possible. Direct access to information for all citizens' initiatives concerning European discussions. Recognise the importance of NGO's, organisations and civil society in the preparation of legislation. By encouraging and improving the role of internal nations and regions within the Institutions. We will call for their representation within the Council of Ministers. 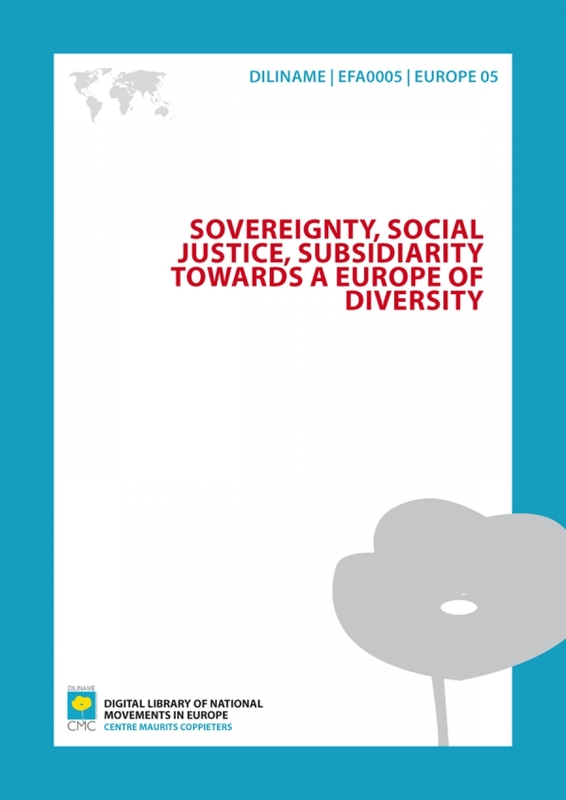 By thoroughly applying the principle of subsidiarity, in the sense that what can be done by a lesser body should not be done by a superior body. By facilitating in every possible way interterritorial and cross-border co-operation between the Union's various countries, whose borders are the result of history and do not necessarily reflect the natural, economic or cultural links which bind them together. By moving towards a single electoral system for the European Parliament throughout the Union, respecting proportionality and the direct representation of peoples and nations. With over 1.2 billion of the world’s people surviving on less than €1 day, we are committed to the achievement of the eight UN Millennium Goals and Johannesburg commitments. Combatting poverty and hunger, providing universal primary education, the empowerment of women and accessible health care are essential in achieving peace and justice.